Child’s World- Children’s day celebrations on 14th November 2010 at Foundry Cluster, Udyambag. In todays world the children are under immense pressure from both parents and teachers. At home they have to adhere to the dreams of their parents and in school to that of their teachers. The child does not really find any time to live what he wants to. But there is one day when the children can forget all this and that is 14th November, Children’s day. 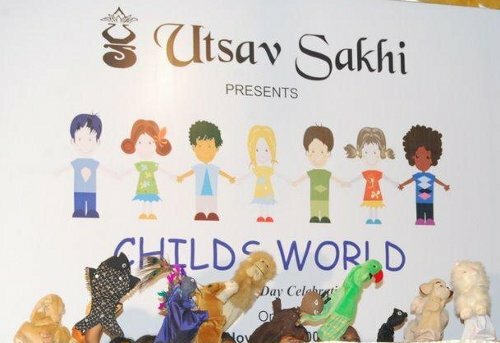 On this children’s day Utsav Sakhi is special program for kids “Childs World”. On this day the children of Belgaum will get a platform to unleash their creative persona and be what they want to be. There would be no competition, no restrictions; the children would be the kings for the day. The proceedings of the program will be donated to an orphan age/ deserving needy students in Belgaum. 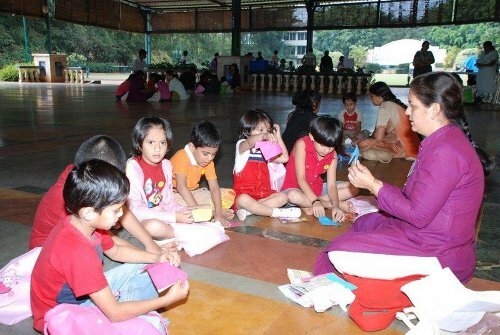 This unique one day program, “CHILDS WORLD”-A Children’s Day Celebration, will comprise of a number of fun-learning activities for children. As the program graduates there would be numerous parent-children activities. At the end of the day the child will go home not only with bag full of goodies but with an experience he will cherish for life. Thus, the day not only lets the kids become king for a day, but also helps to strengthen the bond between parents and their children. The proceedings of the program will be donated to an orphan age in Belgaum. Proposed Activities: Origami – Demonstration and learning, Candle making – out of half used candles, Bullock cart ride – ekdum desi style, Out door games/ sports, Creativity and motivational session, Shopping experience with mock currency – take home what you buy, Best out of waste, Fun games, Party time – Rock the dance floor, Yoga for children & Soft skills to be imbibed in a child. Very nice effort, hope lots of children turn up for the event. In this era of IT, If the kids get opportunity to show their real skills nothing like it. Making a Boeing plane really matters than writing a software to fly the plane, though both are equally important & somehow kids have to inuclulate the real hobbies & skills. Thanks Atul for your appreciation. I have my fingers crossed, m sure the event will be a success.